Gassco has been granted consent to use the B-11 compressor facility and the gas pipeline from Ekofisk to Emden (Norpipe) until the end of 2028. 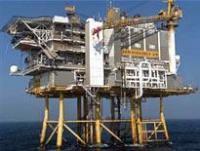 B-11 is a compressor facility located in the southern North Sea on the German continental shelf. The original estimated operating life for Norpipe was 20 years. Analyses have previously been conducted to confirm that the pipeline can be operated safely until 2028. Before 2005 the operator was not required to apply for an extension of the operating life.